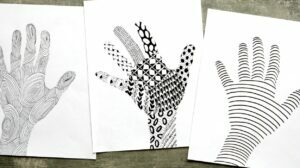 As simple as it is, I realize a lot of people out there want to learn exactly how to Zentangle®. It can look and seem intimidating to start when you see some of the intricate works of tangle art floating around out there. 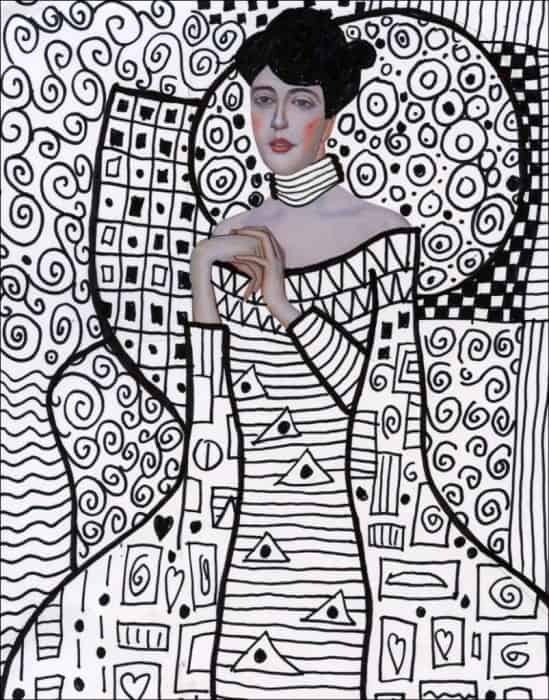 The secret of Zentangle? It’s really easy! 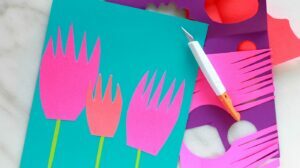 Anyone can do it, and it’s one of those universal creative activities- adults and kids love it, it brings about a sense of calm and relaxation. I feel like it’s an active meditation. When I’m tangling, I’m not stressed about what I’m drawing, because it’s very intuitive/doodly. I also am not stressed about trying to force myself to meditate and failing miserably. 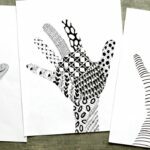 I look back at my first attempts at Zentangle, which actually happen to be my most popular blog posts, and they look sort of awkward to me now, but wow, were they fun to do! I came up with my first Zentangle project just because I wanted an easy way to try tangling myself. I think it’s best to approach tangling without trying really hard to make a beautiful, undulating, polished piece of work (which is incidentally true with all art-making). You don’t have to have the perfect surface nor the perfect pens. Grab a Sharpie and a piece of paper or an index card, break it up with lines, and doodle in the spaces. As you get into it, you can start a sketchbook to keep track of your favorite Zentangle patterns. 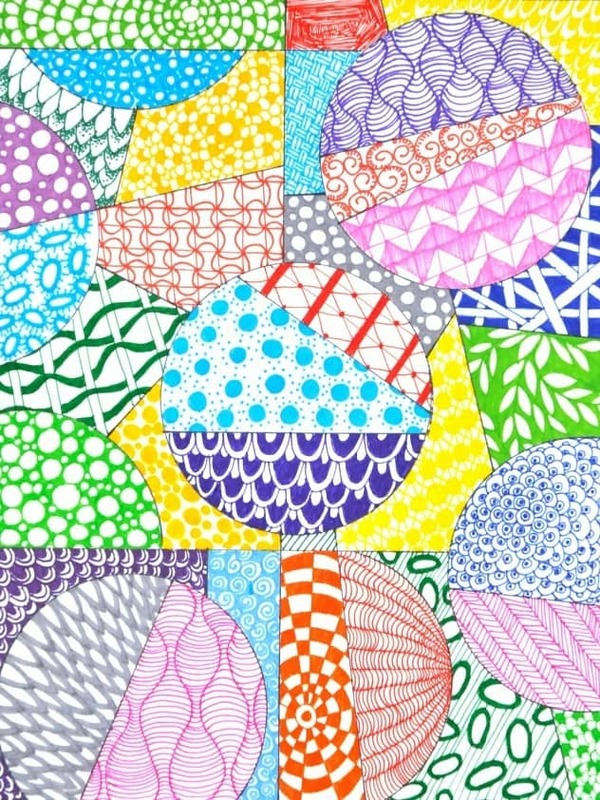 Here are some Zentangle ideas to get you started. I’ve really never tackled anything too complicated, as I prefer to keep things simple. 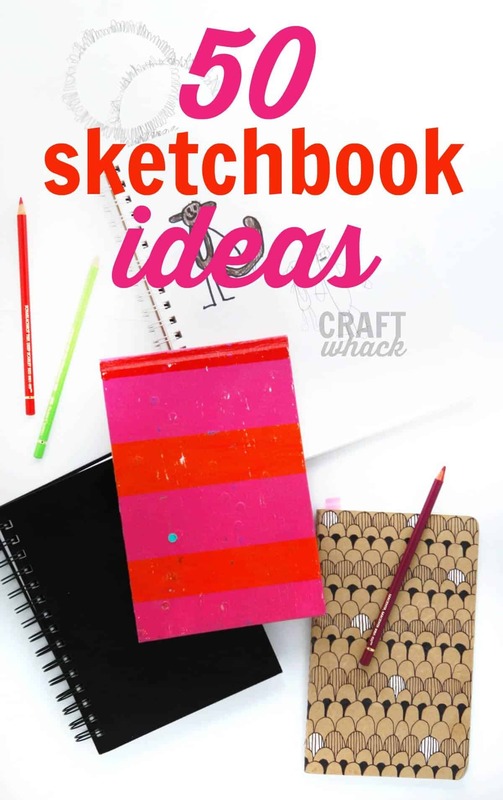 If you are a sketchbook junkie like I am, this is the perfect excuse to buy a new, fresh sketchbook and fill it with hours and tangling and dreaming. 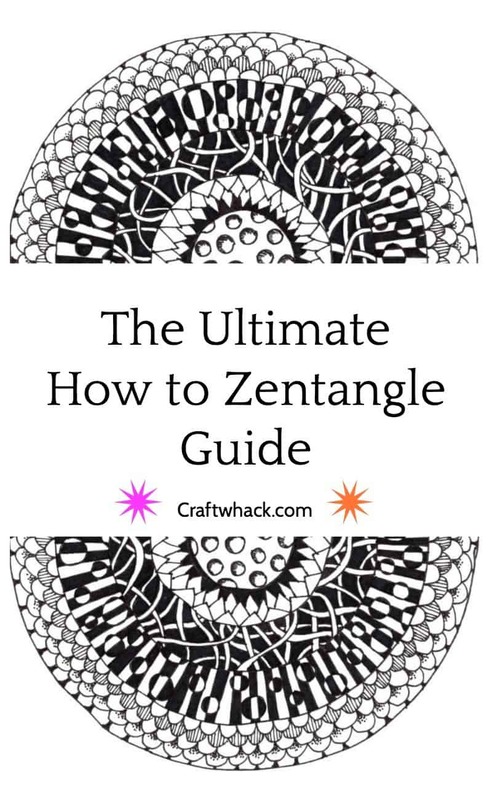 Here are some tools I recommend if you get into Zentangle and want to keep going with it. 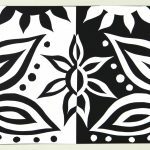 One Zentangle a Day book – the best book I’ve come across on Zentangle- it’s wonderfully interactive and inspiring. I became aware of Zentangle a while back, vaguely thought it was cool, and never tried it because I was VERY BUSY being a fine artist. I blew it off as mere doodling without realizing what a fabulous warming up and meditative tool it is. 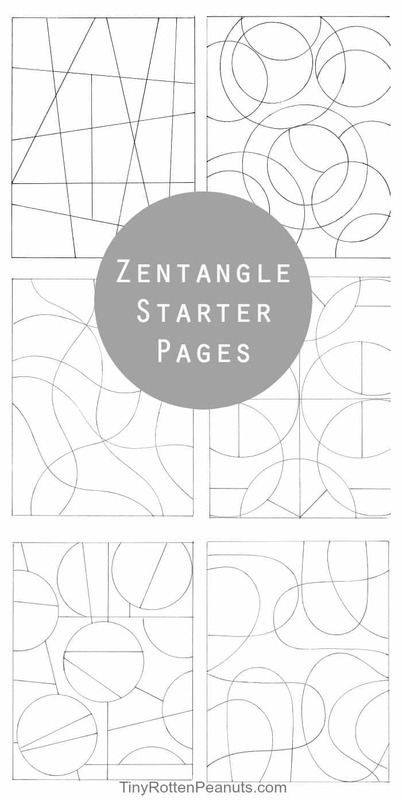 Check out the official Zentangle site for much more in-depth information. 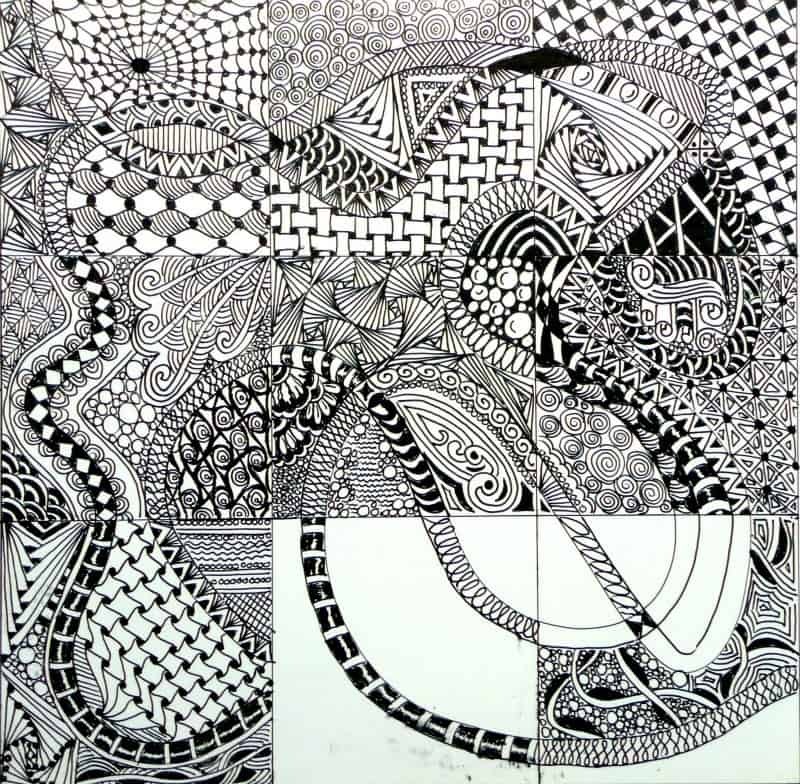 Zentangle sort of exploded in recent years, as more people look to activities other than staring at their screens. It’s the perfect creative fix, and you can tote around your tangle tools for tangling on the go, or spend more focused time on tangling at home while drinking a fancy beverage and listening to your favorite podcast. 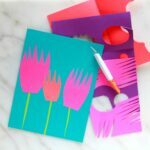 You can get as intricate and trippy-looking as you want with your tangles, or keep them more simple and low-key. I prefer the latter. I think my favorite way to tangle is to make a few even, simple shapes and tangle within them, like in my Bullseye Tangle. 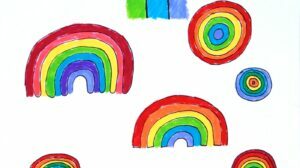 My kids sort of like Zentangle, so I was surprised to hear so many people tell me how much their kids adore tangling. In fact, some of them say it’s really the only way they can get their kids to draw. I think the fact that it is so accessible and easy to pick up makes it less intimidating for a lot of kids (and adults) who don’t necessarily think of themselves as being creative. 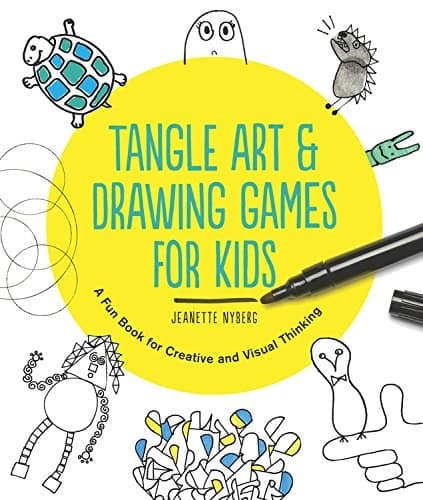 This is the whole premise of my book, Tangle Art and Drawing Games for Kids. 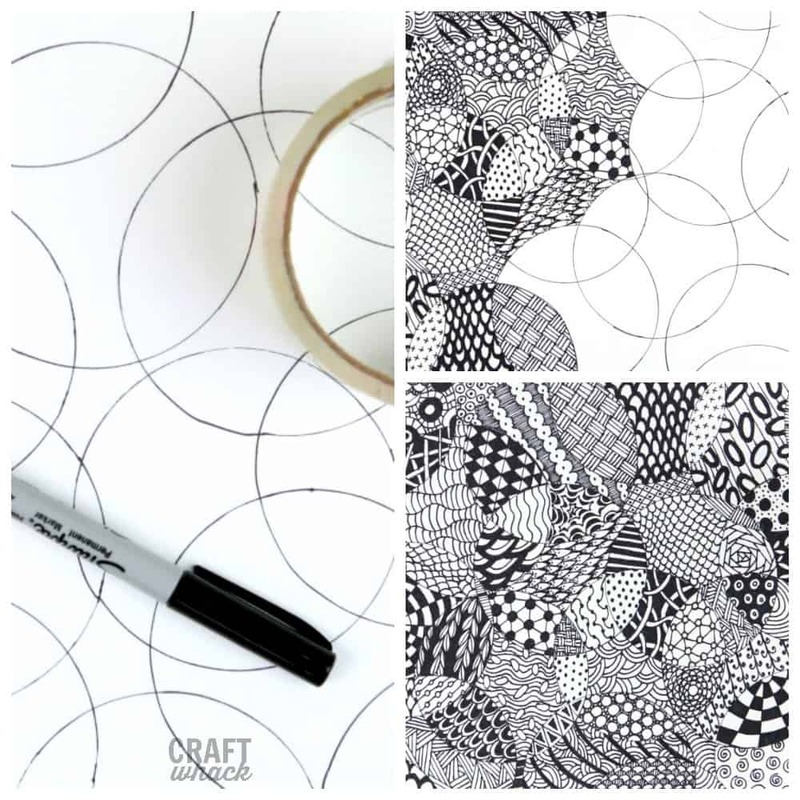 I love getting people all creatively jacked up and excited to make stuff, and simple drawing games and Zentangle are the perfect ways to do this. Essentially, it’s the perfect creative endeavor, right? 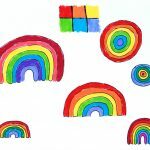 It’s easy, inexpensive, not messy, transportable, appeals to kids and adults, encourages daily creativity, calms down your crazy mind, and you get good results. I hope if you haven’t tried Zentangle yet, you’ll be encouraged to give it a whirl now, and I would LOVE to see whatever little or big, gorgeous tangles you do! 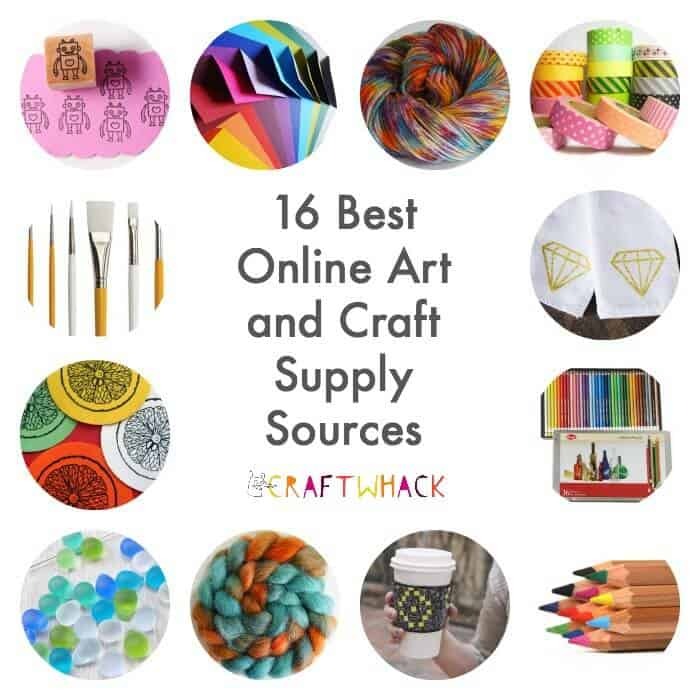 Tag me on Instagram with @Craftwhack. 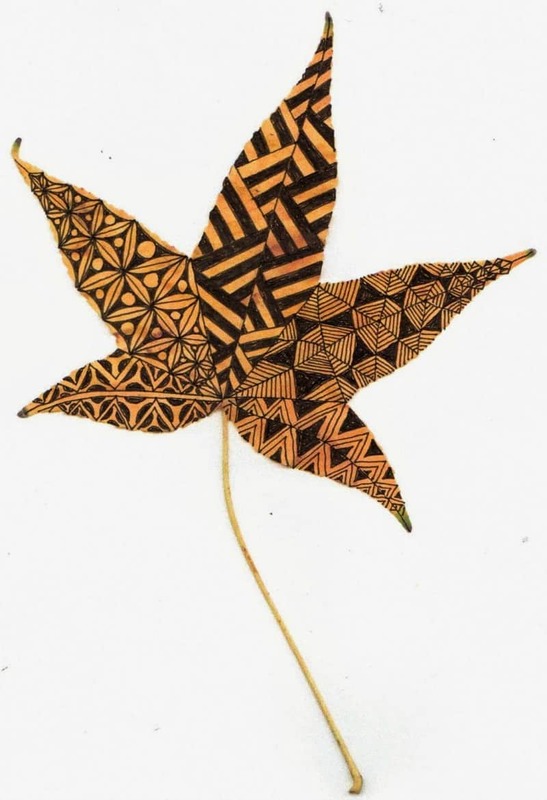 Okay, this isn’t just of a leaf it’s Zentangle ON a leaf! From Banar Designs. Check out this intricate page from This Marvelous Facade. Don’t you love when people tell you how easy something is, and then show you images like these??? LOLS. You are tangling monster! I like to make doodles, but I have never really got into Zentangling, I clearly need to read more of your posts about it! Closest I got was when I did 100 Mandalas and I used some tangles to fill them in. 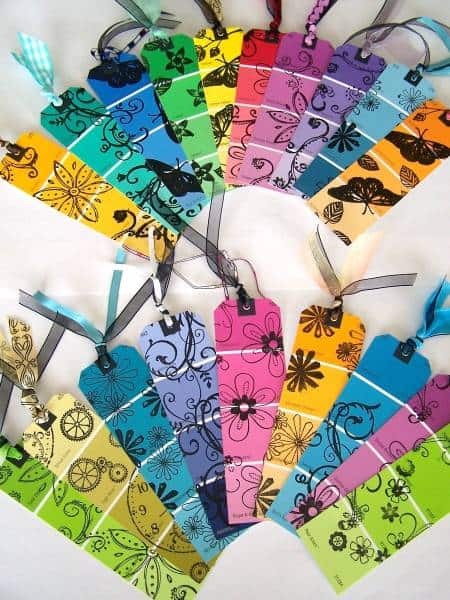 I love the colorful mandalas here and the paint chip idea, I have a pile of paint chips (yes, I am that person in Lowes), so now I have something else to do with them! 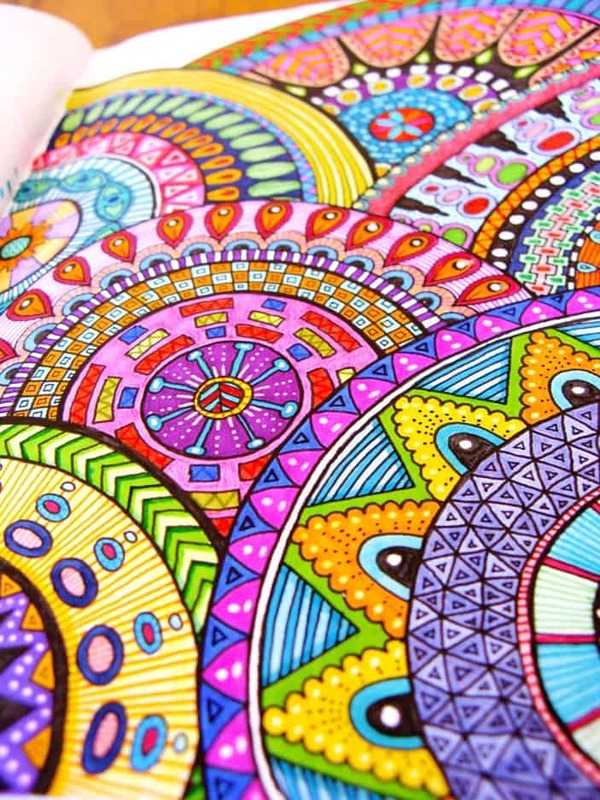 I loved following your mandalas, and I also feel like you always have to go all out with the tangling. Sometimes tangling in moderation is the best. I think my favorite tangling is sort of spare and graphic, anyway… Have fun diving into the paint chips- I finally made myself stop grabbing them because I never did anything with them. It’s just so fun to grab handfuls of color! Wow, this all looks awesome to me. I’ve been dabbling – just barely – in Zentangle and I’m really wanting to do more. I am so timid about actually trying to put anything on paper, ever since about 100 years ago in seventh grade my art teacher pulled me aside and suggested I not take art anymore since apparently I had reached my plateau. It was probably more of a valley. 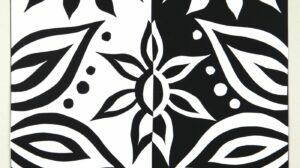 Anyway, I want to make something beautiful, or at least pretty, and Zentangle looks like a possibility for me to do that. Thanks for doing what you do. I enjoyed reading your blog and I’m looking forward to your newsletter. I dunno I think perhaps the teacher was saying that it is difficult to make a living as an artist and if she had someone with “means” it would make it less stressful. Certainly the way it was said was clumsy, but we don’t always know the thinking behind it. A frustrated artist perhaps who had to teach to keep a roof over their head and didn’t have anyone to turn to…. at any rate, I just did my first zentangle after an artist friend recommended it. 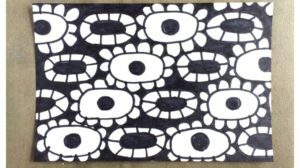 I paint, but if I run into a block where I don’t know what to do, zentangle seems to clear it. Perhaps if I do one a day I would be relaxed enough to let the ideas flow more easily. Thank you for your ideas too. Paula, I’d like to find your art teacher and yell at her/him! We’re all creative in our own ways, and I can’t believe that person so casually squashed your ambitions! 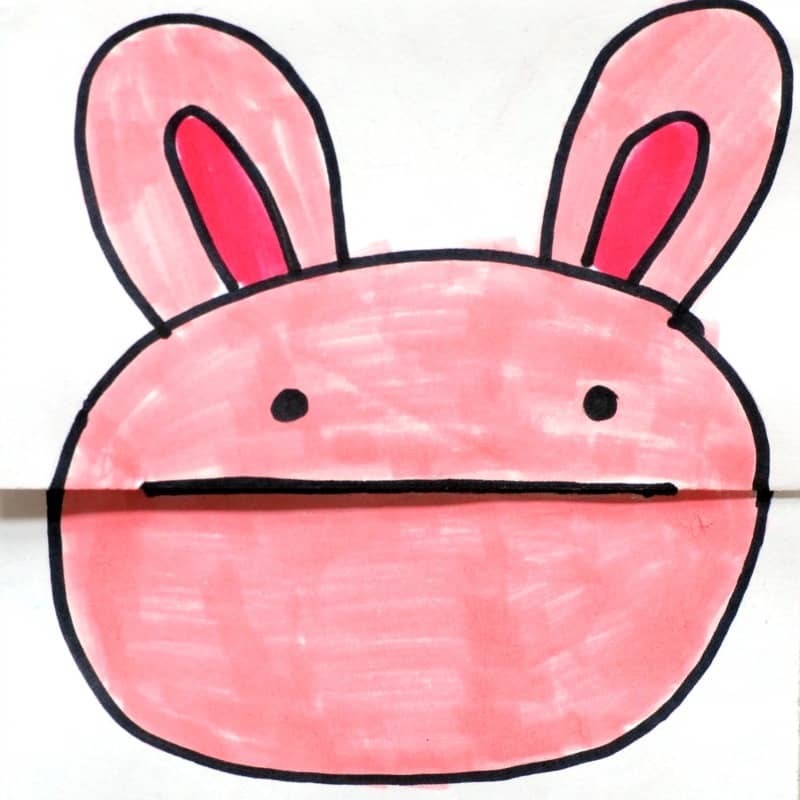 Take a look at “Drawing With Children” by Mona Brooks, or find a Monart studio in your area. I used the book for years teaching 6th grade art and was thrilled at the results, and the kids were, too. There’s a sequel for older children and teens but I really suggest the first book because the author explains her insights so well. I hope you rediscover the joy you found in art when you were young. I have that book, too! I didn’t know she wrote a sequel. Anyway, yes, it’s pretty rotten that our confidence in art-making is so easily rattled. I have started doodle tangle. 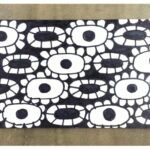 As I continue to draw I am making patterns that I hope will be zentangle. I love this kind of art. It truely is a meditative time. I seriously love to hear when people start to do this- there’s absolutely no right way or wrong way to tackle it, and whatever patterns or marks you like making are perfect. The best part is the sense of relaxation and focus, isn’t it? Love it. Thanks for the comment! I love to tangle but find my tangles look quite ridgid and don’t flow great. It could just be me being super critical but I’ve never been a neat artist and struggle with symetry ECT. All these images online do not always help your self critism as everybody else’s art looks fab. I hate being put into one category with art so I tend to combine tangles with a greater picture. Thank you for the templates, these may help me to just go with the flow and not over think the overall final product. Oh, I SO overthink everything I make! I think with tangling especially, it’s really important to let yourself just enjoy the process. Since you really enjoy doing it, you’re benefitting from it- maybe put your finished drawings aside for a while right when you finish and look at them with fresh eyes in a few weeks. I find that help a lot, too- you usually end up liking what you’ve done more. I think my tangles are a lot less flowy than many peoples’ too, but I just prefer symmetry over asymmetry, so I just go with it. 🙂 Thanks for your comment! I discovered Zentangle last summer, and loved it!! I sat for many afternoons on my deck just doodling and drawing different lines, etc. I found that it helped release my stress and anxiety, and put me in a better place with everything. I’m finding now that there are more people out there that do this and color. Who would of thought, that what I loved to do as a child, helps release stress and anxiety. Hi Jeanette. 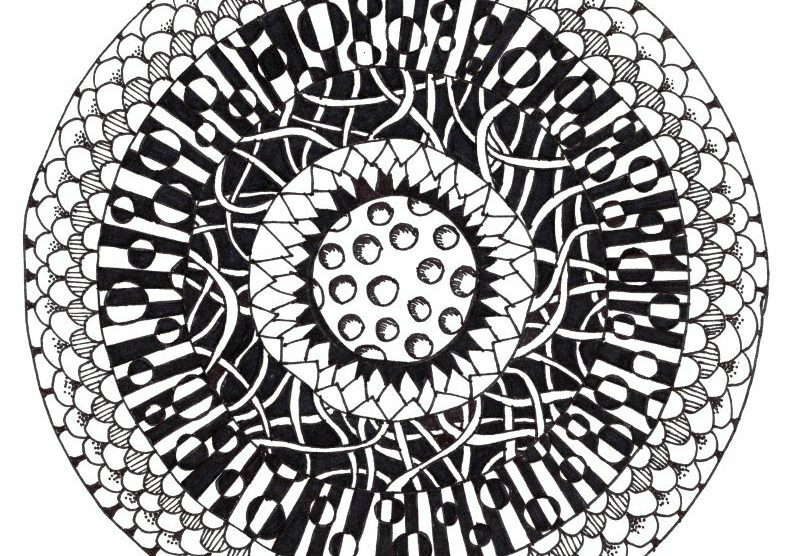 It’s wonderful that you’re so into zentangle and encouraging others to try it! (I see you’ve posted one of my pieces as a sample.) Unfortunately, some of what you suggest is not actually the zentangle method. One point I’d like to clarify (from the horse’s mouth so to speak, the developers of the zentangle drawing method) is that zentangle is not a verb. When pursuing this activity we are tangling, not zentangling. 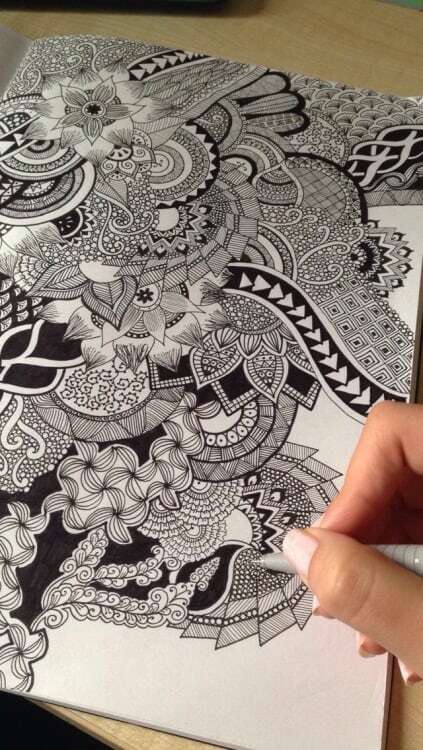 The word ‘zentangle’ is also a copyrighted term (trademark? something legal anyway!). I have been playing with what I call zendoodling! 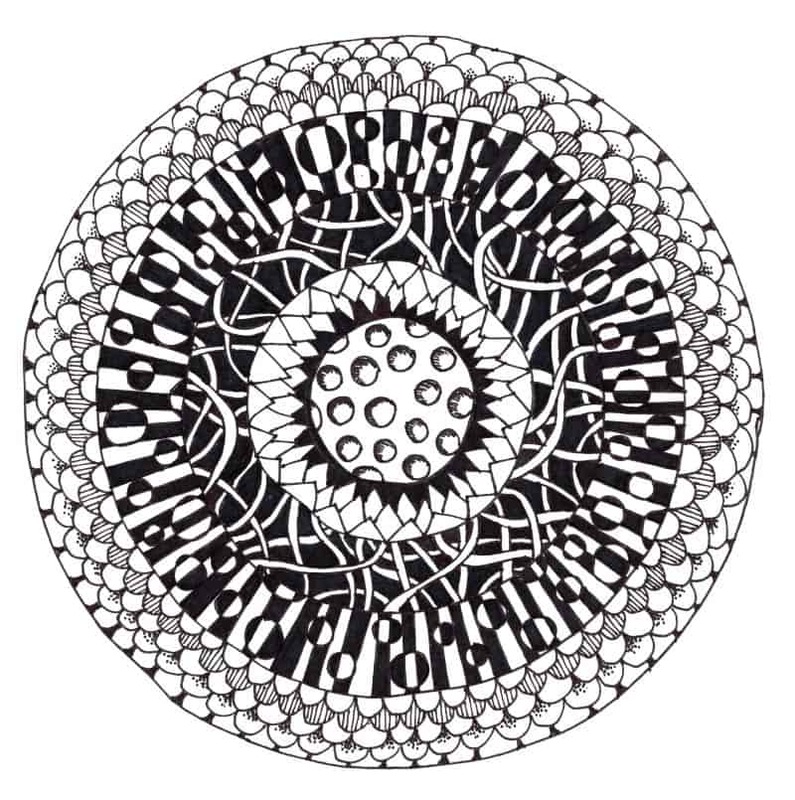 As the writer above pointed out, the term Zentangle and the method are copyrighted. I have a few books and there are certain “rules” for tangling. I am more of a “do what I want” person and do not follow rules too well! So I decided to zendoodle! I painted a wood hummingbird for a garden art project in our town and called her Flora Zen-Doodles. Would share picture here if I could! Today I created a doodled fall scene in my new sketchbook and I really enjoyed doing that. I want to color it in too. 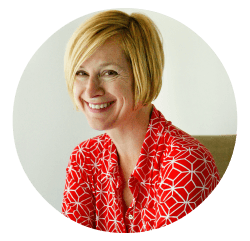 I just came across you accidentally and you’re such a hoot so I think I must check in to your blog frequently!? I had never heard of Zentangling before this but it reminds me of free motion quilting except with a pen instead of thread!! To begin free motion quilting many artistic Quilter’s suggest first doodling on paper and it ends up looking a lot like Zentangling!!! What a fantastic way to create new quilting designs-by using Zentangling and then bringing it to life with thread!!! Thanks so much for all the belly laughing!? 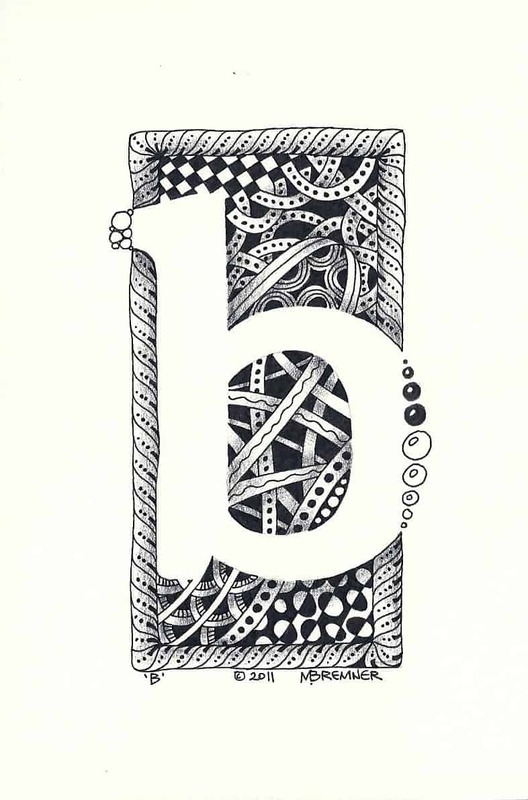 Zentangle is not a verb! 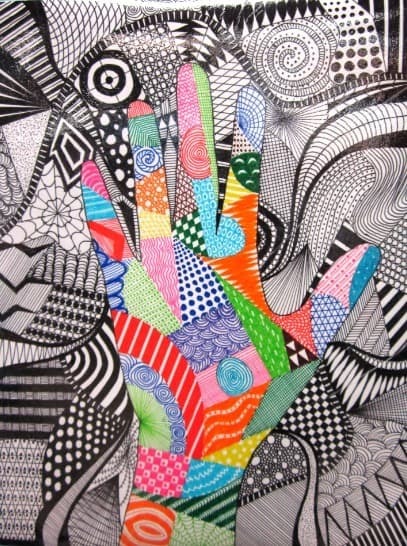 It is the name of the company started by Rick Roberts and Maria Thomas and one uses the Zentangle process to tangle and create tangled art images. People are Tanglers, not Zentanglers.